This page references an outdated Color Matching/Correction Interface. Please check Color Correction Interface. Previzion has separate foreground and background primary color correctors, useful for adjustments to help blend the live action into the background. There are two ways of matching and manipulating your colors: one is to select white and black points with Pick Color and the other is to adjust Foreground and Background color, hue and values manually. Using Pick Color is an instant effect. Each parameter controls one aspect of the image total “look”. Foreground White Pick Color, allows you to select a white point from any area within the Video feed. 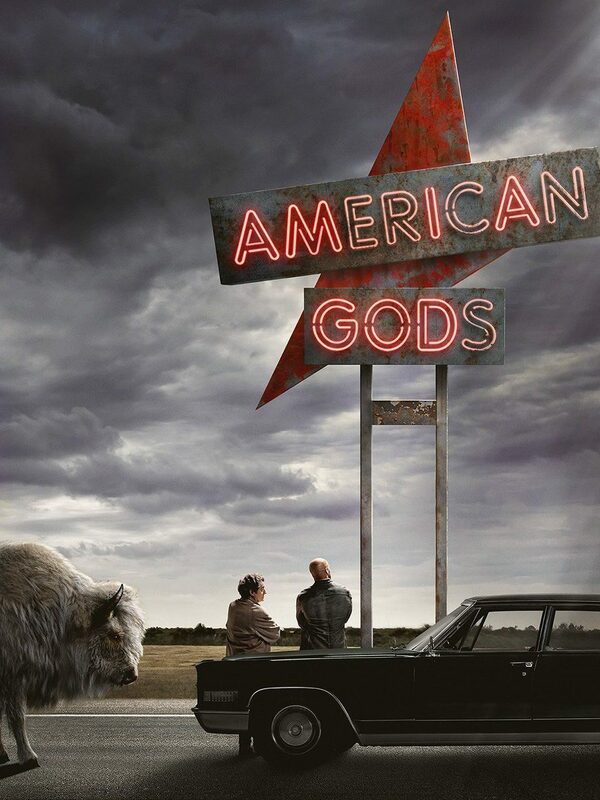 It adjust saturation and hue in the image highlight. Foreground Black Pick Color, allows you to select a black point from any area within the Video feed. It adjust saturation and also hue in the image shadows. Background White Pick Color, allows you to select a white point from any area in the CG background. This adjusts shadow value and hue in the foreground image. 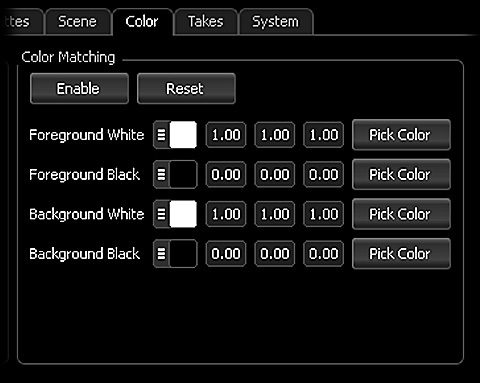 Background Black Pick Color, allows you to select a black point from any area in the CG background. This adjusts highlights value and hue in the foreground image. 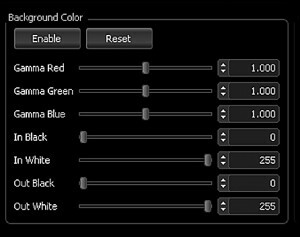 Using the manual color controls allows you to colorize and adjust the foreground video color much more accurately. 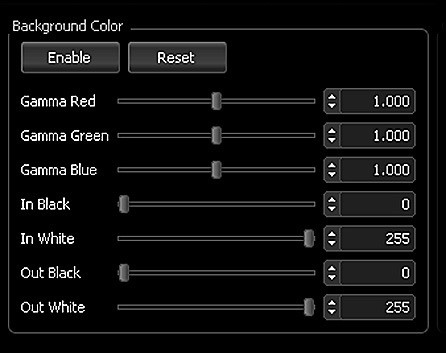 When selected, these controls open a color editor that allows you to change Value and Red, Green, Blue Gamma and Hue. 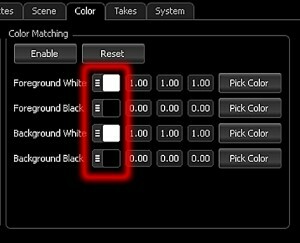 Clicking Reset resets the values to their default configuration, and clicking Enable enables or disables the color correction. Color correction is done after the keying process, and so does not affect the keying. 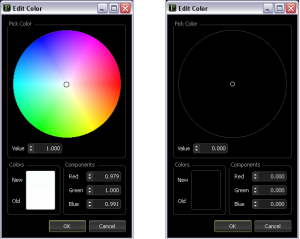 The background color controls are similar to a Photoshop Levels, with gamma controls for red, green, and blue, and in/out points for the black and white levels.